Rivaayat is an initiative of the Oberoi Hotels and Resorts group to revive interest in traditional Indian cuisine and bring back the nostalgia of recipes long forgotten. As part of the nationwide program which started three years ago, we have had three festivals at The Trident Hyderabad. 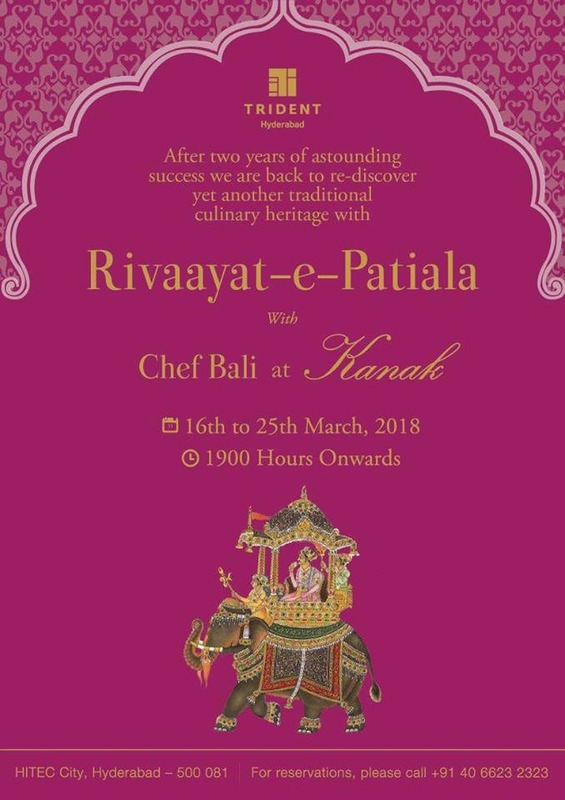 This year, the promotion is back with a difference, with Chef Parvinder Bali presenting the Royal Cuisine of Patiala as part of a promotion named Rivaayat-E-Patiala. 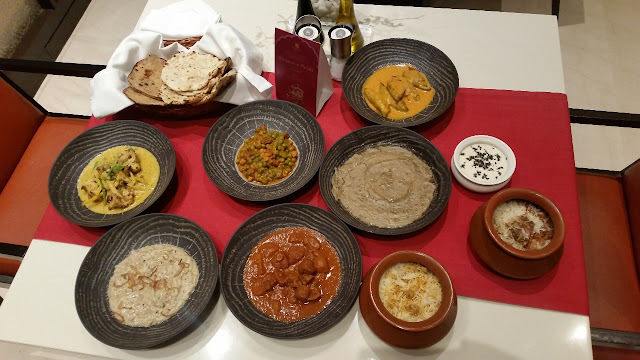 The recipes of this festival are all curated from a 400-year-old book which Chef Bali received from Captain Amarinder Singh, the Chief Minister of Punjab who hails from the royal family of Patiala. The handwritten recipes which had been compiled by Raja Baljinder Singh from the royal archives were in Gurmukhi which had to be translated into English. Certain challenges were faced to implement the recipes in its erstwhile form. They used old measurements like "tola" and "rati" which had to be converted. 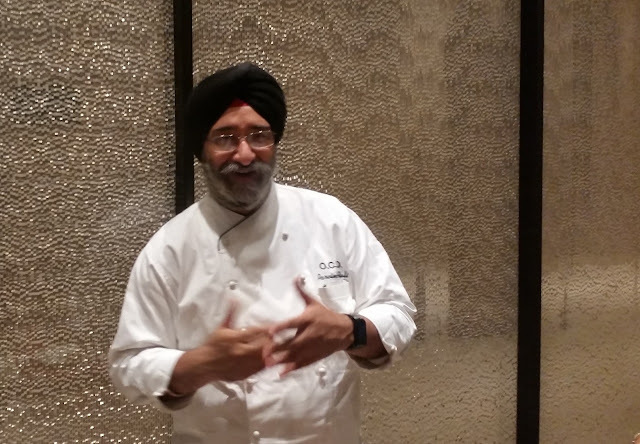 Chef even mentioned that one recipe had “char anna ke ghee” which had to be decoded based on a rough estimate of the year as well as from his experience as a chef. Some of the recipes also had unique ingredients like Ghol which is the fruit of the banyan tree. A handful of the translated recipes from the book have been curated to be part of this festival. Invited for a preview, the dishes presented were quite different from the expectations I had. None of them were rich and masaledar, as is usually the expectation. Most were simple comfort food which was more like ghar ka khana, using simple cooking and relying more on flavours of the ingredients. Another aspect was that even the unlikely starters were all extremely succulent. 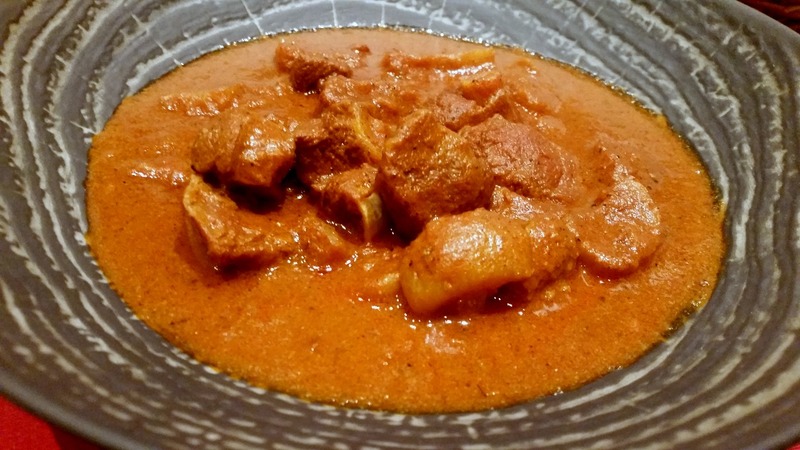 A case in point is Ash Kauri Champaan, a lamb chop dish. 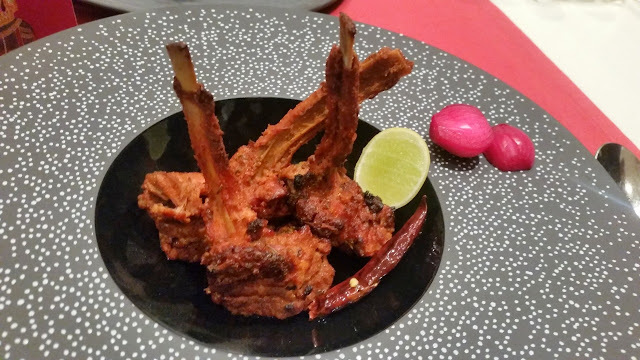 A favourite of Princess Ash Kaur from Kapurthala and this roasted dish had lamb chops massaged with mustard oil and allowed to rest for some time to tenderize it. This was then roasted in a masala consisting of kasoori methi and dahi. 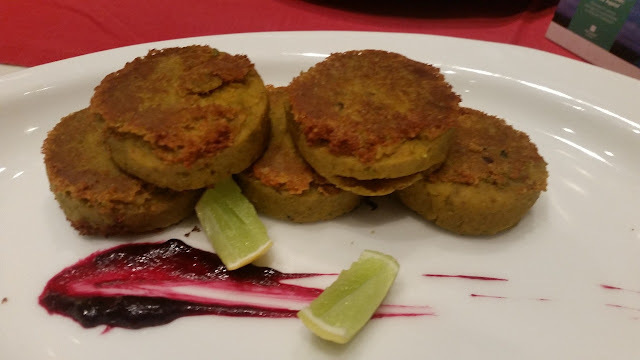 Khushk Mahi Kabab was another dish of note. The minced fish kabab was absolutely soft and served with a black current chutney. 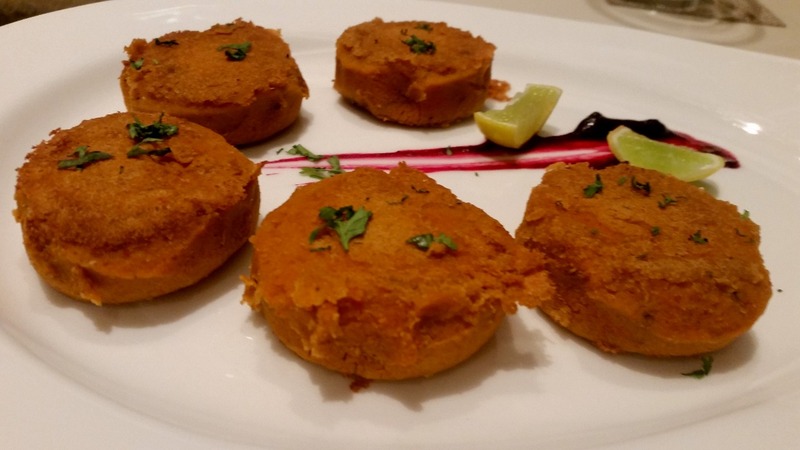 Patialashahi Tikki was a shallow-fried yam based vegetarian patty mashed along with potatoes and peas. 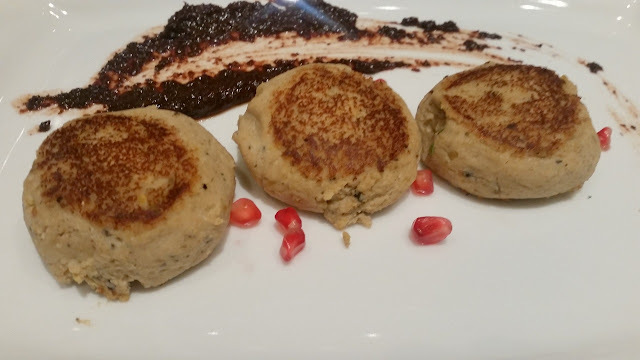 Makhmali Chhole Wale Tikki was a smooth cutlet from chickpeas as the name suggests. One of my picks from the appetizers was Mewa Wali Murgh, boneless chicken marinated in mewa and badam paste and then chargrilled in a tandoor. 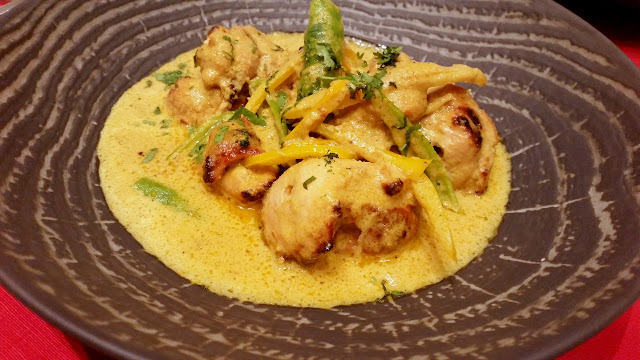 The soft pieces of chicken had the perfect balanced taste without seeming oily or spicy at all. At the risk of repeating myself, it was a revelation for me how a royal cuisine could be so fragrant and tasty, yet light on the tummy. Chef Bali is a Corporate Chef with a lot of experience at the Oberoi Centre for Learning and Development. He also has authored a number of books on food production. He made it a point to explain each and every item in detail and sometimes in a teacher-like fashion, often with interesting stories to supplement the recipes. For example, there was a dish called Dal Bhukpari in the menu. He researched and could not find any clue to the name of the dish. 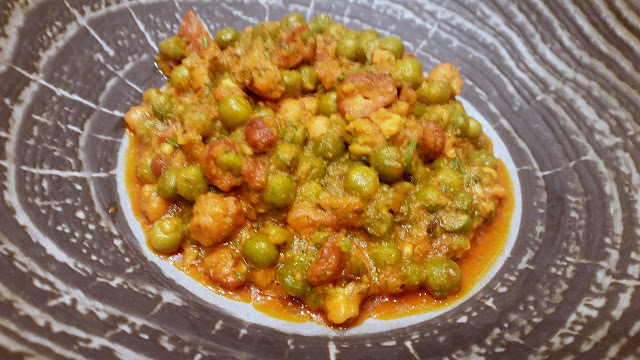 Then one of his chefs told him that eating the lentil dish increases hunger, so he figured out that the name perhaps was from the phrase “bhook par gayi”. The moong dal dish was a slow-cooked preparation with ginger, ghee, and saffron, perhaps the ginger works as a digestive to augment the hunger. 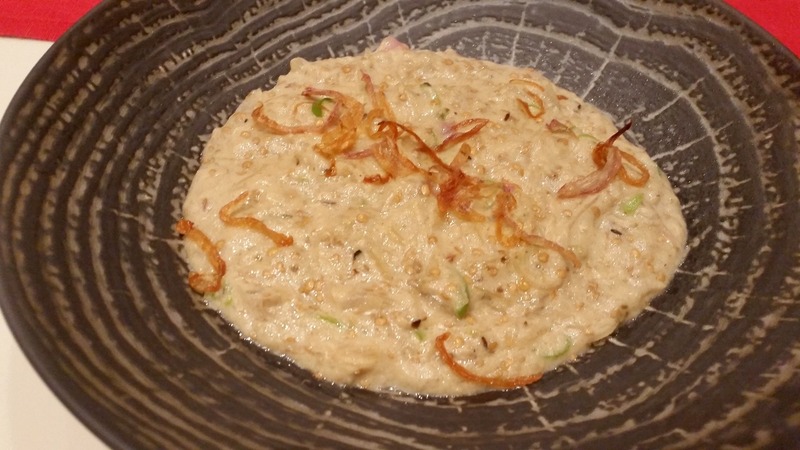 The main courses had a dish called Shahi Bharta, where the brinjal is infused with cloves, roasted and then cooked in dum with mustard and onion. The result is a dish bursting with a myriad of flavours with a hint of smokiness. This was my favourite dish of the day. Shalgam Wala Gosht was a preparation of meat and turnip cooked in sealed pots. It went well with Jaee Wala Paratha which had a daal based stuffing. A dish called Boti Pulao was a rice and meat dish where boneless mutton pieces were precooked in reduced milk. The dish was a fragrant and less spicy equivalent of Sofiyani Pulao from Hyderabad. From the vegetarian section, Chole Wale Pulao stood out as a preparation of rice and chickpeas. Other main courses served on the day included Peeli Mirchi Wala Kukkad (chicken cooked in a gravy of yellow pepper), Dum Bharwan Kareley (bitter gourd in tamarind leaves and yoghurt based preparation, where the karela loses all its bitterness), Mutter Wadiyan (peas and dal vadis). The pickles and condiments served with the food were excellent too. There were a couple of achars, a mixed vegetable one in martaban masala as well as a mango one in mustard. As an achar freak, I found both of them unputdownable. Bathuey Ke Raita was another brilliant add-on, a raita from curd and bathua saag. The star of the desserts was undoubtedly Mirchi Ka Halwa, a halwa prepared from green chillies with sugar and nuts. The conflicting flavours made the dish extremely enjoyable. A firni was also served. This is a festival for food connoisseurs – people who enjoy the finer tastes and cherish the history which goes along with the food. 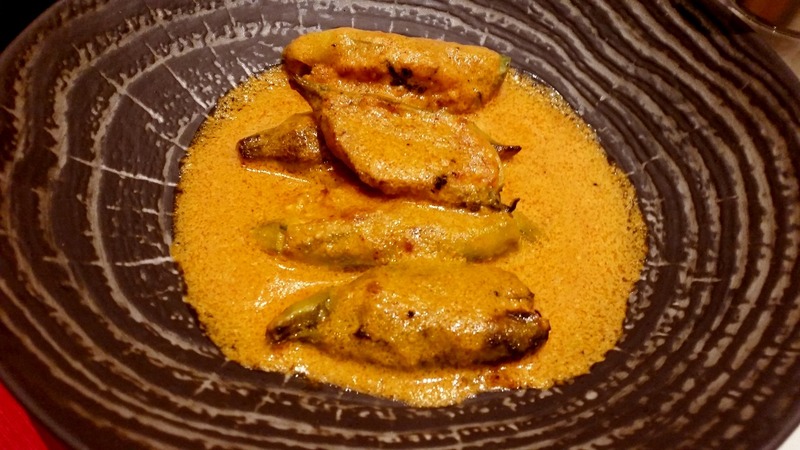 The a-la-carte menu goes much beyond the dishes served on the day and interesting ones for me were the Martaban Bateyr and Peeli Mirch Wala Lobster. It is great to see the Oberoi Group continuing the work of revival of traditional food, and we look forward to many more such editions in future. And finally it was a treat to interact with Chef Bali, who shared nuggets from his rich experiences of Indian food, and for me, that was an important takeaway from the evening. 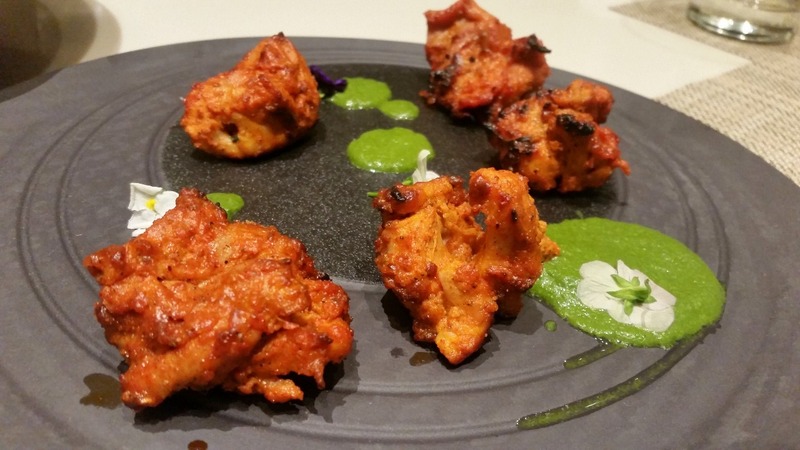 The festival at Kanak, Trident Hyderabad is on until 25th March, only for dinner. Apart from a-la-carte offerings, it has a couple of set menus for convenience too.